Are you looking for some of the best window fixtures on the market? If you need to find Replacement Windows in Hancock Park, you will be pleased to know that Intex Windows & Doors is among the leaders in the industry. If you are in the Orange, Ventura, or Los Angeles counties, you will want to look through the extensive catalog on the retail website to see all of the offerings. Here at Intex, we pride ourselves on bringing our customers only the best quality fixtures that have been handcrafted by experts in the industry. We sell doors and windows from brands such as Jeld Wen and Milgard. You never have to question if the products you purchase will hold up well, or if they will be suited to your needs. If you have any concerns or questions, you can reach out to talk to a professional member of the team at Intex Windows & Doors. This individual will be able to assist you with all the steps that you need to complete the project, or have your windows replaced. If you have not been involved in this process before, you may want to speak to someone at Intex about how to go about getting a permit. In most of the towns and cities surrounding Hancock Park, it is necessary to have a permit before the whole process begins. This is even the case if the windows are not going to be visible to your neighbors or passersby. 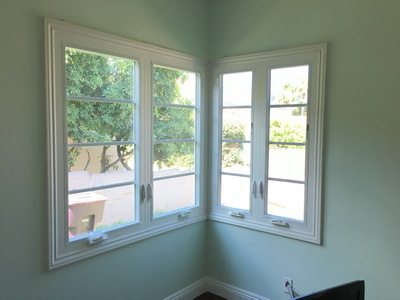 Setting up Replacement Windows in Hollywood Hills should not be a hassle, and with Intex Windows & Doors it never will be. Here at Intex, we have a wide array of different types of doors and windows. You will be pleased to see that the materials vary, and that we have different styles and finishes from which you can choose. We even sell the hardware that you need to go with the fixtures. Since you have limited time, it is great to be able to shop for all of this in one place from a company that will go above and beyond to make it a smooth and enjoyable experience for you. Whether you are shopping for your residential, institutional, or commercial property, there is something for everyone at Intex Windows & Doors. Even if you cannot see what you need from this collection, know that you can reach out to us and talk about your needs to have something personalized for your situation. This can be extremely beneficial, especially if you come into the process with detailed specifications in order to help you to get exactly what you need. If you happen to need a Wardrobe Doors Replacement, we have got your needs covered. People end up having a firm attachment to their wardrobe, and would rather not have to buy another if they can help it. It becomes as cherished part of their life. If you need to replace an old door on your own wardrobe, you are in good hands with Intex. There even are gorgeous mirrored doors that will look simply amazing in your space, regardless of the style of your home. If you have any questions about Replacement Windows in Hancock Park or something else entirely, contact Intex Windows & Doors right away. It could very well be one of the best decisions you make.